What could be more exciting for a train mad toddler, than spending a few nights sleeping in a train carriage? Not the kind that still moves, but a train carriage which is stationary, and has been renovated for use by holiday guests. 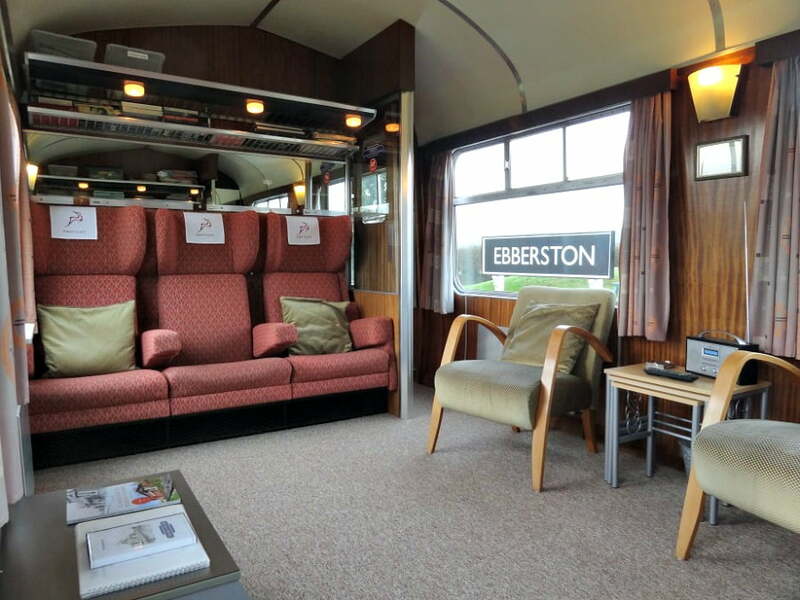 My youngest son is obsessed with trains so I spent a bit of time researching train carriages to stay in with toddlers, before booking a few nights at the Old Station at Allerston in North Yorkshire. These are my recommendations on the best train carriages to stay in with a toddler. 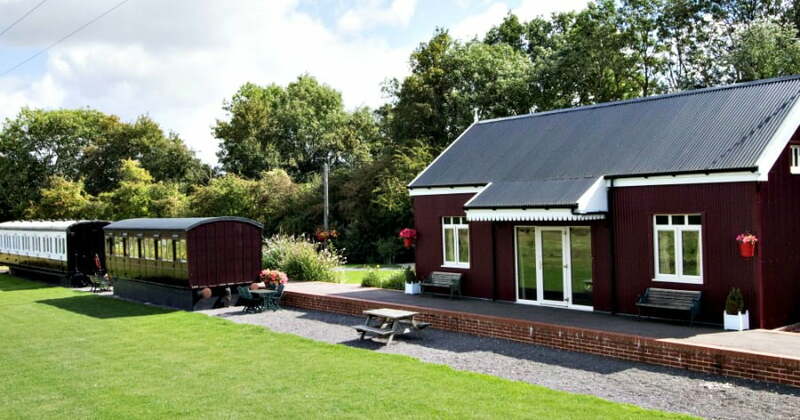 Located just east of Pickering, The Old Station at Allerston offers three self catering railway carriages which are perfect to stay in with a toddler. They have been fully restored, and each carriage is equipped with central heating, oven, hob, microwave, fridge, TV, DVD, radio and a bath with shower attachment. There are 2 and 3 bedroom carriages available. Cots and highchairs can be provided at no extra cost. Outside, there are 2 acres of grounds for toddlers to play in with views of the open countryside. Each carriage has its own picnic table and BBQs are available. The platform is great for riding bikes and scooters up and down, and there is a selection of toys and games to borrow during your stay. The carriages are just 30 minutes from the seaside and are close to the Dalby Forest and York. Coalport Station Holidays have 2 converted railway carriages in Shropshire’s Ironbridge Gorge region (UNESCO World Heritage Site). They have 2 luxuriously appointed railway carriages in a woodland setting just minutes away from the attractions of Ironbridge. There is a gated garden for little ones to play in, and a pub down the road with an outdoor playground. Cots and highchairs are provided. There is loads to do in the local area such as visiting Blists Hill Victorian Village, the Tar Tunnel and Enginuity Science Museum. Click here to read about things to do in Ironbridge with a toddler. 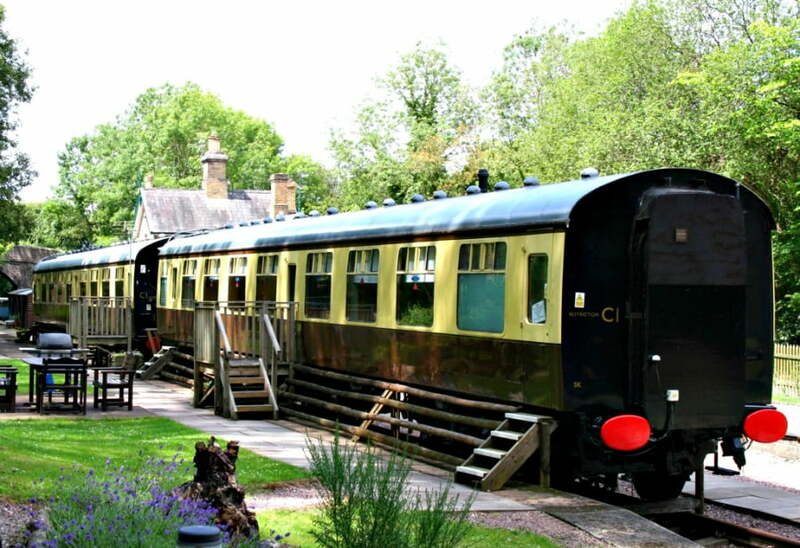 There are 3 converted railway carriages at Brockford Sidings, sleeping between 4 and 6 people. The carriages have spectacular countryside views, a shared 1 acre garden, a playground (called The Signal Box!) and best of all access to an indoor swimming pool and hot tub! The pool and hot tub are at the owner’s house ½ a mile away but they are available to book so you can have private access to them. The carriages are within a short walk of the Mid Suffolk Railway Museum with steam trains at weekends in the summer. 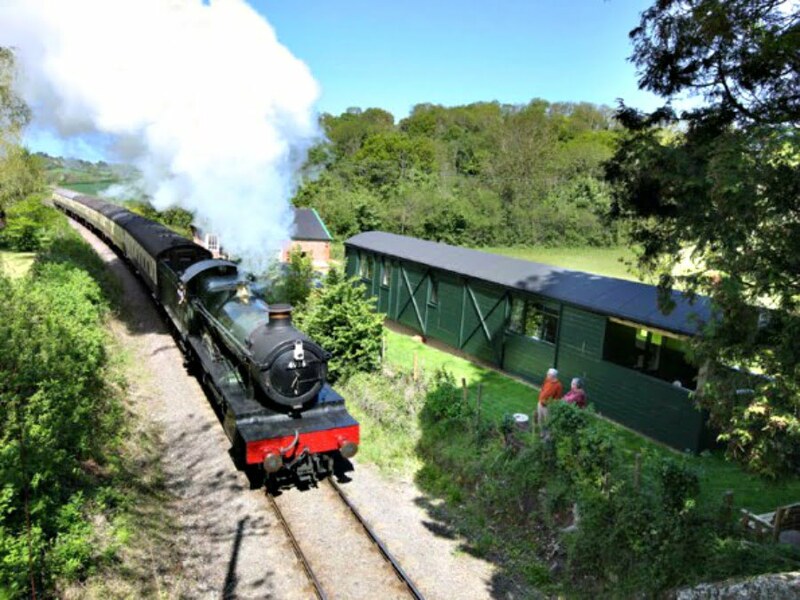 Woolston Moor is a purpose built railway carriage, which sits right next to the West Somerset Steam Railway, so there are plenty of opportunities to see some steam trains chugging past during your stay. The carriage is finished in a modern country style, and has 2 bedrooms; one with a king size bed and the other one with 2 single beds. Outside there is a hot tub, private garden and terrace. Baby and toddler accessories are available to borrow. There is loads to do with toddlers in the local area such as visiting Cheddar Gorge, Wookey Hole Caves and various farms and zoos. The best thing about staying at Railway Retreats in East Sussex is its location. The carriage is situated within Northiam Steam Railway Station so you can see steamies passing within about 20 foot from your carriage! 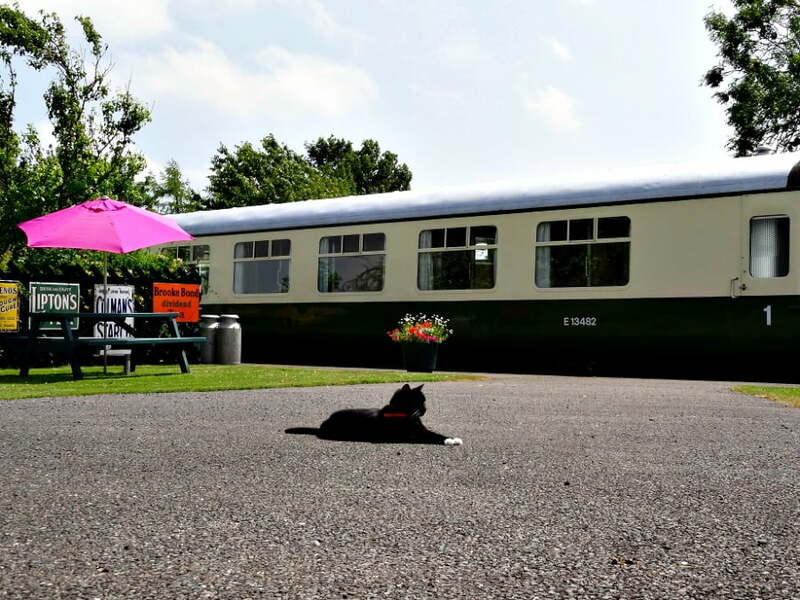 The carriage itself is a converted MK1 railway carriage originally built in 1962. It sleeps up to 6 people with 2 double bedrooms, 1 bedroom with bunk beds, 1 family bathroom and an ensuite bathroom. There is also an open plan lounge / dining area. There is loads to do in the local area including days out at the beach at Camber Sands, visiting Rye, Hastings or Bodiam Castle. 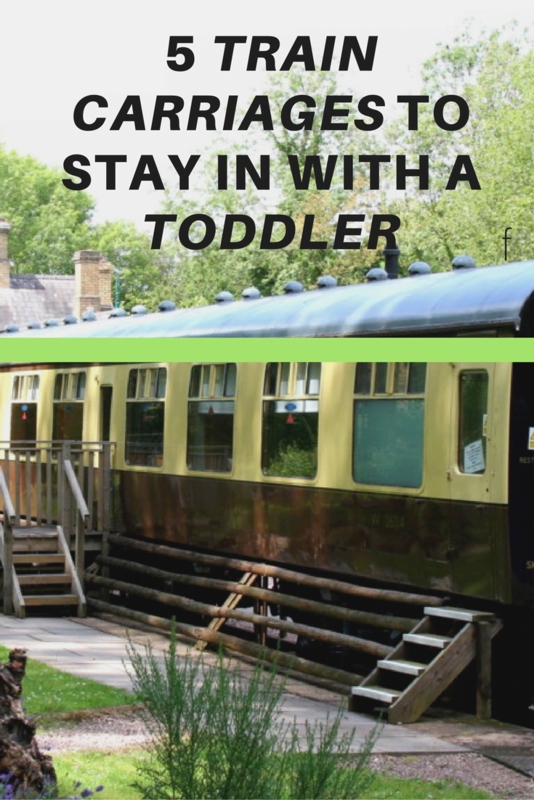 Have you stayed in a railway carriage with your toddler? If so, I would love to hear more about it! This looks amazing! Our boys would have a blast staying in a train. Something a bit different too! I keep meaning to book one of these holidays, my boys would absolutely love it. But I’m never organised to book the accommodation far enough in advance!